We recently introduced the joint gramian for combined state and parameter reduction [C. Himpe and M. Ohlberger. Cross-Gramian-Based Combined State and Parameter Reduction for Large-Scale Control Systems. arXiv:1302.0634, 2013], which is applied in this work to reduce a parametrized linear time-varying control system modeling a hyperbolic network. The reduction encompasses the dimension of nodes and parameters of the underlying control system. Networks with a hyperbolic structure have many applications as models for large-scale systems. A prominent example is the brain, for which a network structure of the various regions is often assumed to model propagation of information. Networks with many nodes, and parametrized, uncertain or even unknown connectivity require many and individually computationally costly simulations. The presented model order reduction enables vast simulations of surrogate networks ex- hibiting almost the same dynamics with a small error compared to full order model. Himpe C. and Ohlberger M. (2013) Model Reduction for Complex Hyperbolic Networks. 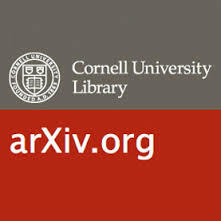 Working Paper arXiv.